Your eyes do not deceive you. Deadline reports that the Peter, Paul, & Mary song “Puff the Magic Dragon” is getting a feature film adaptation at 20th Century Fox. Said to be a hybrid live-action/animated movie, Mike Mitchell will direct. Mitchell recently directed the animated feature Trolls for DreamWorks Animation, but he’s also no stranger to the concept of combining live-action photography with animation, having directed Alvin and the Chipmunks: Chipwrecked as well as the live-action portions of The SpongeBob Movie: Sponge Out of Water. His other credits include Deuce Bigalow: Male Gigolo, Sky High, and Shrek Forever After. Safehouse partners Tory Tunnell (King Arthur: Legend of the Sword, Holy Rollers)and Joby Harold (Edge of Tomorrow) will produce the feature, having gained the rights to the original song. 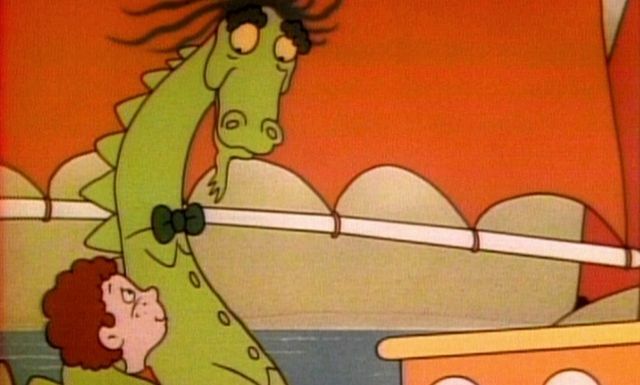 Released in 1962, “Puff the Magic Dragon” reached the number two spot on the Billboard Hot 100 chart. The song tells the story of a young boy growing out of his imagination as he gets older and leaving behind Puff, who lives by the sea. An animated TV special, featuring the voice of Burgess Meredith as Puff, was released in 1978 and was following by two sequels.